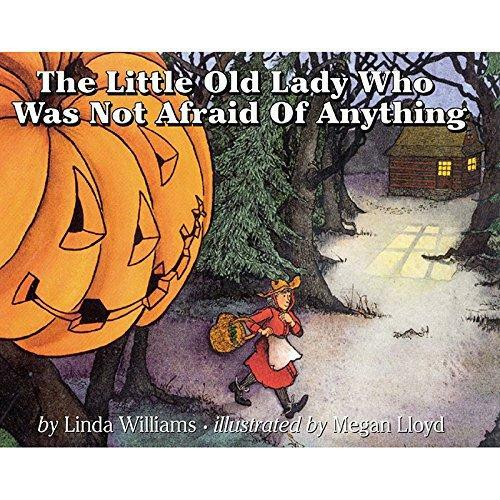 The new StoryWalk® book at the Thielke Arboretum is The Little Old Lady Who Was Not Afraid of Anything by Linda Williams and illustrated by Megan Lloyd. ​In The Little Old Lady Who Was Not Afraid of Anything, a little old lady who is not afraid of anything must deal with a pumpkin head, a tall black hat, and other spooky objects that follow her through the dark woods trying to scare her. Clomp, clomp, shake, shake, clap, clap. The Planning Team would like to thank Sally Morgan, co-owner of The Curious Reader, an independent bookstore located on Rock Road, Glen Rock as well as Paul Duggan owner of Mail & More on Rock Road. Each of these local business owners supports the StoryWalk® literacy endeavor through the contribution of a book and laminating materials. This StoryWalk® will be up throughout the fall. Enjoy the outdoor reading experience over and over. The StoryWalk® is free, but donations are always appreciated. And, support our generous business owners as they have supported StoryWalk®.